Maybe it was a smile, a handwritten note, or just being greeted by name—a small gesture that makes you feel like a valued customer. In today’s data-driven and digital-first world, it’s easy for businesses to overlook the value of making a genuine connection with customers. But that’s precisely why more companies need to pay attention to details like customer-centric gestures. When customers are at the heart of everything a business does, it is often reflected in the customer retention rate. Employees who are willing to sacrifice an immediate sale or their time for the sake of easing a customer's concerns do not go unnoticed. And given that customer retention typically costs less than attracting new customers, companies can’t afford not to make their customers feel valuable. Customer centricity must start at the top. It is the CEO’s duty to formulate a strategy for understanding and meeting the customer’s needs and see to it that his or her employees are aligned with that vision. By the same token, not every interaction can be scripted, which is why a customer-focused culture is also critical. The best company cultures allow for the flexibility of the human moment. Training employees to greet customers pleasantly only goes so far. Employees also need the freedom to connect with customers in authentic ways. For example, some insurance companies give their associates the option of sending members celebratory or sympathy cards and some associates choose to include a hand-written message. 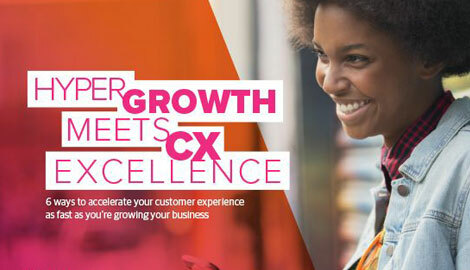 It’s tempting to write off efforts to improve the customer experience as extraneous or too costly. But when company leaders say they don’t have time or the budget to better serve customers, that should lead employees to question the company’s purpose. Starbucks Chairman and Chief Executive Howard Schultz famously closed all Starbucks locations for three hours during normal business hours to provide a refresher course in the art of making espresso, as well as to discuss the importance of learning who the regular customers are and greeting them by name. Grand gestures like these grab headlines, but it’s not necessary to make a public display of improving the customer experience. Something as simple as adding an automated “Happy Birthday” message to a bank’s ATM machine or offering a towel to a guest at the pool who forgot to pick one up, can earn a customer’s loyalty. There are a number of ways to track the value of an improved experience through customer feedback programs and attrition/retention rates. What’s important though, is not to get bogged down by the numbers. Rather than spend six months gathering intelligence to find the right touchpoints to focus on, it may be more worthwhile to introduce a small project and learn from the results. Start with one or two channels and add more based on the customer’s response. Additionally, it’s unquestionable that more and more customer services are being supplemented or replaced with automated systems. That’s not an excuse though for failing to provide a satisfying customer experience. The average company today has more than enough data from a CRM system to deliver personalized services. It is not difficult, for example, to map a caller’s phone number or email address with a customer record. In fact, some airlines will automatically alert passengers of a flight delay or cancellation and provide alternate flights. And when the passenger calls, the automated system already knows if the caller has a current reservation and can quickly offer assistance. At the same time, many companies have yet to effectively leverage their data this way. It’s common for customers to be bounced from one department to another and repeat their question each time since the databases are not connected. And longtime customers are understandably frustrated, especially when the business doesn’t take the time to acknowledge their loyalty. Savvy businesses will notice this gap in the customer experience and make it a priority to do better than their competitors. Furthermore, whether it’s a handwritten card or a waived fee, the best moments are unscripted, and occur simply because an employee knows it’s the right thing to do. Whether organizational leaders understand the value of this behavior and embrace it is up to them.